2015 was a big year for new artists in country music. Several acts had their first career number ones at country radio, including A Thousand Horses, Kelsea Ballerini, Canaan Smith, Michael Ray, Old Dominion, Dustin Lynch, and Chris Stapleton. Others, like Cam and Chris Janson, celebrated breakthrough hits, while relative newcomers Sam Hunt, Thomas Rhett, and Cole Swindell solidified their positions as country's next generation of superstars. 2016 will undoubtedly be a breakthrough year for another handful of new artists. Below are 20 of the most promising, complete with a short Q&A from each of the rising stars. If you had told Mitch Rossell in 2014 that in 2015 he would be co-writing and sharing the stage with living legend Garth Brooks, he wouldn't have believed you. But, both were among Rossell's list of accomplishments this year, and 2016 promises to be just as exciting for the Tennessee native. I'm just an all-American kid who loves good country music. I got to play an entire show with my musical hero and mentor, Garth Brooks, in Dallas, Texas! I'm an outgoing introvert. I love talking to and meeting new people and playing shows, but when my batteries get low nothing recharges them like spending some time alone. Writing more songs, working on my new record, and hopefully getting out on the road on a consistent tour schedule. Vicksburg, Mississippi's William Michael Morgan is making waves at satellite radio with his new single, "I Met A Girl," which some country fans will recognize from Sam Hunt's acoustic mixtape Between The Pines. The Warner Bros. Nashville recording artist will kick off 2016 on the road, treating audiences to his traditional country sound. Lover of country music, lyrics, and melodies. Playing the Opry. It was a dream come true! Dierks Bentley at Riverfest in Vicksburg, Mississippi. Getting out on the road playing our music and also sharing new music with everyone. April Kry grew up singing in church in her hometown of Westport, Connecticut. Now, she's turning heads in Nashville with her electric song, "Fireflies." With model-good-looks and millennial social media sensibilities (she treats her followers to everything from makeup tutorials to fashion tips, in addition to music), there's no doubt she'll continue to rack up fans in 2016. I'm a tiny girl with a big voice who is passionate about touching hearts with my music. I'm extremely proud of my song "Fireflies" being played on Radio Disney. It's a station I've loved and listened to since I was a young girl. If I get invited to your house and you have animals, I will be the girl talking to them all night. Meeting new people who have connected to my music. It's my absolute favorite thing about what I do. When I hear about someone who has been touched by one of my songs, I get so emotional. It really makes me so happy to listen to their stories and connect with them on a deeper level. It's clear from SmithField's lyric video for "Good Ol' Days," the lead single from their self-titled debut EP released last month, that vocalists Jennifer and Trey have a great time when they perform. Performing is something these crooners know a lot about - the Dallas-area duo has recently opened shows for Scotty McCreery, Jana Kramer, and Dustin Lynch, just to name a few. We are a true country/pop duo with relatable songs and big harmonies. We released our first EP full of songs that we wrote and worked so hard on, and are very proud of. Jennifer: I'm kind of a closet nerd. I love all the Marvel movies, Star Wars, etc. Trey: I never sang or played guitar in public until I was 18 years old. We're looking forward to opening for some more great artists and sharing our music with bigger and bigger audiences. Many fans will recognize Levi Hummon as Kelsea Ballerini's opening act for much of 2015. Hummon has songwriting in his blood: his father, Marcus, is a Grammy-winning songsmith. With his pedigree, it's not surprising this Nashville native has written or co-written all of the songs from his upcoming debut album. His first single will officially drop early next year. Until then, fans can enjoy this acoustic rendition of his song "Make It Love." I'm the son of a singer/songwriter who loves all types of music, and while I'm deeply rooted in the country music genre, my style is influenced by my Southern upbringing, my love for pop, and my need to rock. I have two accomplishments I'm most proud of. One was playing CMA fest this year and having the head of my label dancing in the front row! That was awesome. The second was opening up for Dwight Yoakam at the Ryman. That was equally awesome. Not a lot of people know that I've traveled all over Africa for mission work. Last summer I visited Rwanda and Uganda, and it was definitely one of the most intense, life-changing experiences ever. I'm most looking forward to finally sharing my music. The last few years have been a journey, but I wouldn't change a thing. I'm really proud of all the songs and the production that supports them creatively. [My upcoming album] defines me perfectly. Mechanicsville, Maryland native Sam Grow has earned tens of thousands of fans the old-fashioned way: non-stop touring and lots of hard work. Before moving to Nashville, Grow had already sold more than 30,000 copies of two independently-released albums. Now, with the uber-catchy "Is It You" gaining speed, 2016 is poised to be the year his hard work pays off in a big way. I'm a lineman's son who fell in love with music while driving the country and listening to the radio. My single, "Is It You," was spun on Sirius XM's The Highway, and I was selected as an On The Horizon Artist. It was humbling and amazing to see it up there for 12 weeks. "Bring It On Home" by Sam Cooke. It was the song that helped me earn my first guitar from my dad. Touring and getting to play the songs off my new record. Sisters Maddie and Emma Salute, 15 and 16 years old, respectively, have been singing country music their entire lives. They recently teamed up with friend and fellow Temecula, California native Dawson Anderson to form Temecula Road. When not on tour (where fans can catch their new song "Paper or Plastic,") the trio splits their time between Temecula and Nashville. We are all-American kids who grew up loving country music and are so blessed to be able to do what we love. Going on tour with Jessie James Decker in February and March. Shannon Haley and Ryan Michaels grew up only three miles apart, near San Francisco, but the singer/songwriters didn't meet until they moved to Nashville years later. As a duo, Haley & Michaels have sold more than 25,000 song downloads. In 2015, they were twice invited to appear on NBC's Today Show to perform their wedding-favorite "Giving It All (To You)." Look for their debut album in 2016. We're a pure duo and we love to write and sing songs about life and many different stages of relationships. It's definitely a tie between performing on the Today Show and our debut at The Grand Ole Opry. We are huge fans of Hoda and are so grateful for her support. It has been a lifelong dream of ours to sing on The Opry stage, and it was even more special to share that moment together. Shannon: I attended UCLA as an opera major and performed in local country bars on weekends. Ryan: Before moving to Nashville, I played soccer for the U.S. Ambassadors in the Italy Cup. We are making plans to record our first full-length album and we're so excited to share our new music in 2016! Stoney Creek Records artist Lindsay Ell was born in Calgary, Alberta, but she calls Nashville home. Her new single, "By The Way," debuted in the Top 10 on the iTunes Country chart and is quickly climbing country radio charts. In January, she'll kick off the 2016 CMT Next Women of Country Tour with Brandy Clark and Tara Thompson. I have two. Getting to tour Europe with Luke Bryan was an incredible experience to get to know him and his team. The second was playing a 24-hour show on Broadway in downtown Nashville to raise money for the Monroe Carell Jr. Children's Hospital at Vanderbilt. I never thought I could even do something like that, and I had to go on vocal rest for a week after the fact, but it was completely worth it. "Not Another Me." It's a song I wrote for a friend of mine who has muscular dystrophy. She has such a heart of gold, and was going through a rough time, so I wrote her this to let her know there is nobody out there like her, she is so special, and no guy is going to find someone that will treat him like she did...there is not another her! And I really like the guitar part at the beginning. Going on CMT's Next Women of Country tour with Jennifer Nettles and Brandy Clark. Husband and wife Brandon and Jamelle Fraley make up Nashville-based duo Two Story Road. The couple met while studying at Belmont University and quickly decided to pair up, both personally and professionally! Their Mark Bright-produced, self-titled EP hit stores earlier this year, led by the song "Arson." Two Story Road is a country duo whose music is based around great melodies, engaging stories, and relatable lyrics. Releasing our EP, seeing our fans get us to #13 on the iTunes Country chart, and hearing so many great reviews made all the hard work worth it. Growing up singing in church, we both listened to a lot of contemporary Christian artists. Ironically, Michael W. Smith was the first concert that both of us saw as kids. Too bad it wasn't the same concert in the same town. We could've gotten a BIG head start on Two Story Road had we met back then! Now that the recording process and the release of our music is finished, we're so anxious to take our songs to the masses. We'll definitely be trying to hit as many stages as possible in 2016! 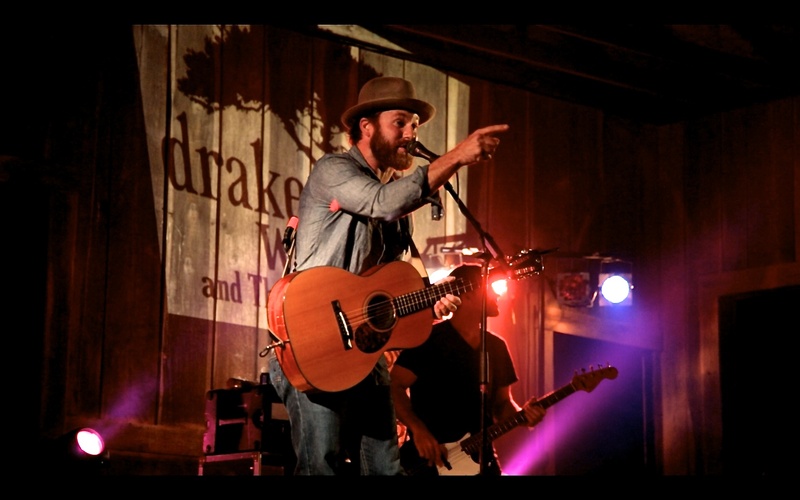 Hokes Bluff, Alabama native Drake White played for tens of thousands of fans in 2015, including many during a stint on Zac Brown Band's Jekyll + Hyde Tour. He released his It Feels Good EP on Dot Records in September, and his new single Livin' The Dream debuted earlier this month. He'll be hitting the road again in 2016, crisscrossing the United States and Australia to kick off the new year. Spirit-driven, self-motivated entrepreneur obsessed with music, helping folks achieve their dreams, the way Jesus lived, and being in the wild. I hitchhiked around the South Island of New Zealand in 2010 solo. I took my time. It took three months. Right now it's "Making Me Look Good Again," but it changes daily. I look forward to the pursuit of being better than I was yesterday in all aspects of my life. Josh Dorr's new single, "Rocket," was inspired by the adventures of his childhood in Gillette, Wyoming. Dorr, whose debut EP was released in 2014, experienced a pivotal moment when, after his apartment caught fire, he was looking for a sign from the universe as to whether he should continue in Nashville or call it quits. When his waterlogged laptop restarted after the fire and Dorr heard the James Taylor song "Fire and Rain" playing, he heeded the sign and stayed in Nashville. I'd say I am just a fun, outgoing guy who loves to travel and loves playing music. Being named one of Sirius XM's The Highway "Highway Find" artists. Based on my conversations, it's probably the fact that I'm from Wyoming. I meet about three people a week who have "never met a person from Wyoming before!" It's both unique and surprising to them. But I love it. A fresh start sounds really good to me! It has been a roller coaster year. But, I'm ready and working on putting out new music soon, and I can't wait to hit the road with it. Big Machine Label Group CEO Scott Borchetta's description of Pigeon Forge, Tennessee-native Tara Thompson pretty much says it all: "Tara has all the ingredients I've been looking for in a modern, traditional country artist. A blood relative to the one and only Loretta Lynn, her tell-all and attitude-filled songwriting and feisty personality are going to crash through the stereotypes and knock down radio stations and beer joints coast to coast." 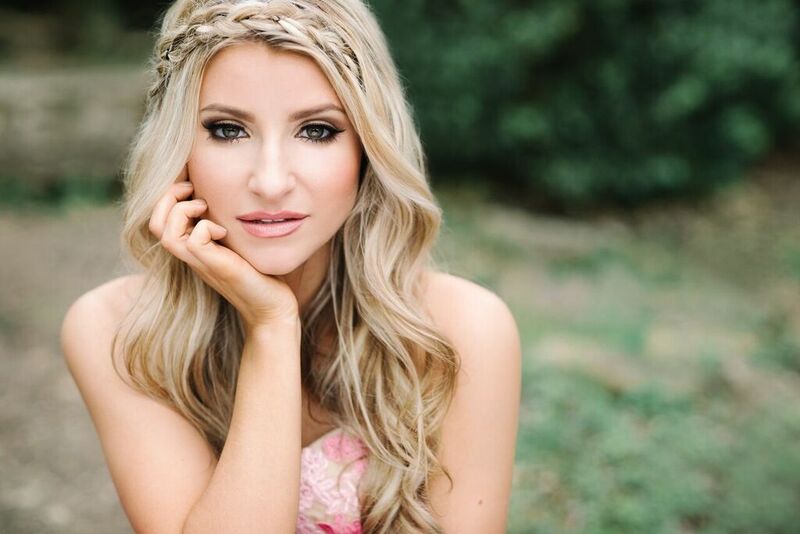 Thompson's debut single, "Someone To Take Your Place," will be released to country radio on January 19--the same week she kicks off the 2016 CMT Next Women of Country Tour. I am a hillbilly singer from East Tennessee who loves to write and perform songs about my fun and crazy life for y'all. Signing a record deal with the best label in country music: The Valory Music Co., under the Big Machine Label Group! My grandma and Loretta Lynn are cousins. I'm so excited that my first single, "Someone To Take Your Place," will be coming to radio very soon! Fort Oglethorpe, Georgia's Kane Brown exploded onto the country scene in 2015, selling more than 200,000 song downloads--more than half of them for his song "Used To Love You Sober," which hit number 15 on the Hot Country Songs chart. Between viral video success and impressive sales of his crowdfunded EP Closer, Brown had an undeniably great year. The 22-year-old, who will be kicking off the year with a string of sold-out tour dates, is eyeing even bigger successes in 2016. I am down to earth and I always try to stay positive--especially for my fans because they lift me up so much. I'm proud that my music got noticed this year. I'm excited that I have been able to connect with so many fans through social media and out on the road. I had to opportunity to play both basketball and football in college, but I chose to pursue music instead. I also was once ranked in the top 100 Call of Duty players in the world. MCA Nashville singer-songwriter Clare Dunn drew comparisons to Bonnie Raitt on tour this year, thanks in part to her impressive guitar chops and commanding stage presence on songs like "Move On." Her style appeals to a wide range of fans: her 2015 tourmates included Miranda Lambert and Bob Seger. In 2016, fans can find the Two Buttes, Colorado native on Chris Young's I'm Comin' Over Tour. I'm a farm girl making music reflective of the wide open spaces I grew up in, woven into a tapestry with the influences I've absorbed over the years from my own musical taste and my family's (anything from Bob Seger to Led Zeppelin to Keith Urban), and whose live show is a blend of all of those things. Touring with one of my heroes, Bob Seger. I saw him four years ago at Bridgestone Arena in Nashville. Never would I have dreamed in a thousand dreams that one day I would get to go out on tour with him, let alone play that same arena with him. All of them. Ha! Honestly. But "Tuxedo" holds a special place for me right now. I love to perform and to create, so I'm just looking forward to continuing to be able to do those things. I'm excited to keep getting my music out, and to keep working on new material for future projects. Although Granger Smith has been on the scene for years--he has nine releases and millions of video views under his belt--things really started to click for the Dallas native in 2015. Smith was recently signed as a flagship artist on Broken Bow Records' imprint Wheelhouse Records, and his new single "Backroad Song" is finding huge support at country radio, where it's in the Top 15 and climbing. Fans can get an inside look at Smith's 2016 through his YouTube series YEE YEE TV, which posts regular episodes showcasing his life on the road. I am a lover of country music and a creator of country music who is committed to the fans who listen to me and the path forged by the great names before me. Obtaining my first national Top 15 song at radio with "Backroad Song." I am ambidextrous: anything with power is right, and anything with detail is left. I play guitar right-handed and write with my left hand. My first major-label album release! Tucker Beathard recently released a five-song EP on Spotify to give fans a gritty preview of what to expect while working on his debut album. Nashville fans may recognize Beathard from his guest appearance (as himself) in this year's winter finale. Although Beathard is only 20, he's a second-generation songwriter and has been playing in bands for half his life. The Nashville native will kick off 2016 playing shows with Chase Rice before heading to the UK and Ireland in April with Dierks Bentley. Unique and edgy, or at least that's what I've been told. I'm proud of how hard we've been going out on the road. This year we've really been grinding, we've played 25 states this year, a handful of those multiple times. I took a leap of faith when I finished high school and bailed on a baseball scholarship in order to follow my music dreams. I'm looking forward to being able to share more of the songs we've been working so hard on, and if I'm lucky enough to hear them back on the radio that will be the best payoff I can imagine. One of Steve Moakler's most notable successes in 2015 was Dierks Bentley's hit "Riser," a song the Bethel Park, Pennsylvania native co-wrote with Travis Meadows. Luckily, Moakler saved some hit songs for himself: his new EP, produced by Grammy winner Luke Laird, is scheduled for release in early 2016. Moakler promises to support the release with a headlining tour. While fans will have to wait until next year to hear the new material, "Suitcase" offers a satisfying sneak peek of what's to come. I want to make music that gives people hope and makes them feel known. Watching Dierks Bentley perform "Riser" at the ACM Awards for 70,000 people. It was surreal and a dream come true as a songwriter. My uncle's bar band, The Undertakers. Releasing new music and hitting the road harder than ever! Although 2015 included many big moments for Brothers Osborne, the highlight was undoubtedly this month's news that the Deale, Maryland siblings are nominated for Best Country Duo/Group Performance for their Top 10 song "Stay A Little Longer." With their debut album, Pawn Shop, slated for a January 15, 2016 release, there will be no slowing down for these brothers in 2016. We're always true to ourselves. Being nominated for a Grammy Award. Our names are John Thomas and Thomas John. Releasing our debut record, Pawn Shop. Maren Morris' major-label EP release hit number one on Billboard's Heatseekers Albums chart in November, spurred by the success of its memorable single, "My Church." Morris was one of the most-streamed new artists on Spotify this year--a trend that will continue when her new full-length album is released next year. For her impressive success so far and the promise of more great things to come, this 25-year-old Arlington, Texas native takes the crown as the #1 artist to watch in 2016! I'd describe my music as something that feels new, but has an old soul. It's fun, relatable, and heartbreaking, but it doesn't take itself too seriously. Writing "My Church," because it kicked this whole ride into gear. I've been an artist since I was 11 years old. I made my first record at 14. Good luck to these 20 hardworking artists on the rise and the rest of country music's new crop of talented performers!